Looks like people in the US willing to grab the upcoming Galaxy S III won't be treated to its quad-core Exynos variant. Instead, latest evidence points to a dual-core Snapdragon S4 powering the Galaxy S III for Verizon. 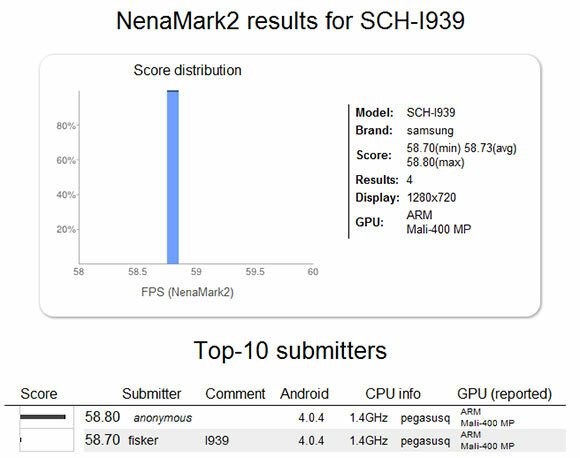 This is further confirmed by early NenaMark2 benchmarks, which show a Galaxy S III (SCH-I535) with a 1.5GHz dual-core S4. The reason for this exchange of hardware is the LTE support, which the Exynos 4 Quad chipset doesn't offer. However, the benchmark shows something interesting. The Adreno 225 GPU in the Snapdragon S4 beats the Mali-400MP in the Exynos Quad by a couple of frames. Now, this might be due to the pre-release software and/or some inconsistency in the NenaMark2 benchmark. Don't forget, that the Galaxy S III screen is capped at 60FPS, so results close to that point may not be perfectly accurate. 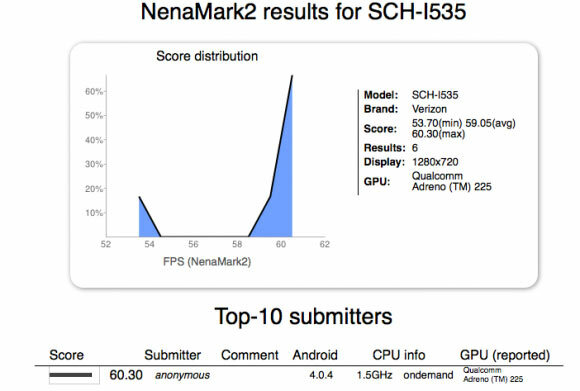 To make things even more confusing yet another Galaxy S III (SCH-I939) variant popped up on the NenaMark website. Judging by its model number the device is destined for the Chinese market, comming to succeed the I929 Galaxy S II Duos. That version is powered by the same Exynos 4 Quad chipset as the international one. Are you certain that quad core phones don't support 4g? It has been released that Korea is getting the quad core with LTE. What bothers me about the U.S. version is that they have said the quad was swapped for the dual core for because of LTE support. But why is Korea getting the quad core version with 2gb RAM AND LTE?